Your wisdom teeth are the last of your adult teeth to grow in. They come in at the back of your mouth, behind the last row of molars. Unfortunately, wisdom teeth are often misaligned or your jaw simply doesn't have room for them, and they present a health risk to your jaw, your other teeth and your gums. 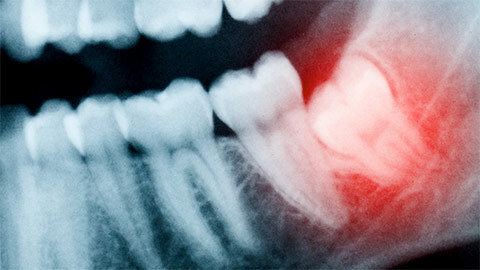 Wisdom teeth extraction is performed to prevent this damage. 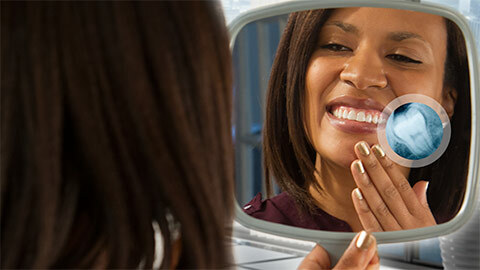 Removal of the wisdom teeth is a surgical procedure done under a local or general anesthetic. For further pain and anxiety control we offer sedation options, including IV sedation. Normally a routine procedure, extraction requires making an incision in the gums, removing the teeth, and closing the incision with sutures. The length of the surgery depends on how many teeth need to be removed and whether there are complications. Wisdom teeth extraction is best done when the wisdom teeth begin to grow, as the risks to your health increase as the teeth begin to emerge. If you need assessment of your wisdom teeth,call us today to book an appointment.